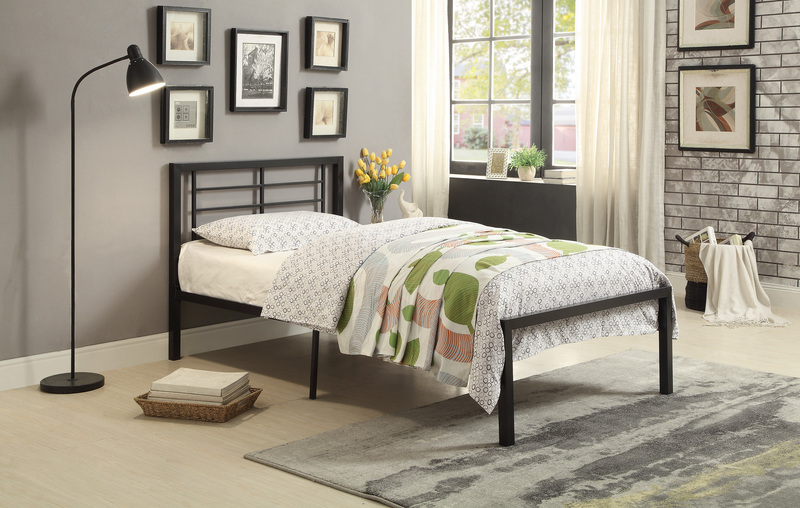 Homelegance Twin Metal Bed Setup Size: 78 x 40.4 x 34.5H FB: 16.5H<br /> The modern look of the Willa Collection is exemplified by the clean lines and platform construction of the bed. The distinct black finish further lends to the look of this metal bed. The modern look of the Willa Collection is exemplified by the clean lines and platform construction of the bed. The distinct black finish further lends to the look of this metal bed.